We are an organisation comprising archaeologists, botanists, civil engineers, geographers, geologists, soil scientists, zoologists and others interested in research into the problems of the Quaternary. The QRA was founded in 1964 as the Quaternary Field Study Group and its name was changed to the Quaternary Research Association in 1968. Today the QRA has an international membership of over 1000, with a large and thriving postgraduate student membership. The QRA has an active meetings programme, including the Annual Discussion Meeting each January, field meetings, usually held in April and May or September and the annual Postgraduate Symposium. 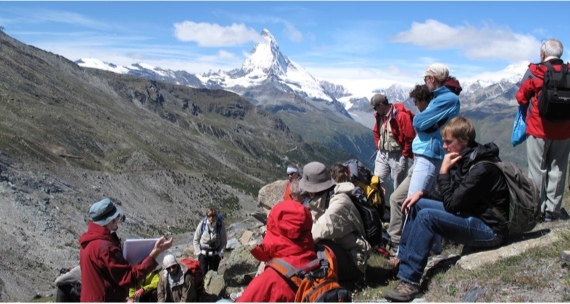 The QRA and its members also undertake activities that support and promote the geoconservation of Quaternary sites, landscapes and museum collections. Members receive the Quaternary Newsletter and Circular three times a year, which contain short research papers, reports on meetings, abstracts, reviews and news on forthcoming meetings, events and a range of other information. The QRA also publishes field guides to accompany its field meetings and a series of technical guides which provide up-to-date coverage of technical developments in the field. The Journal of Quaternary Science, founded in 1985, is published by Wiley-Blackwell on behalf of the Association. The Association operates a number of grant schemes to support research activities by members, especially new researchers and postgraduate students. It also recognises outstanding contributions to Quaternary studies through a series of awards that include the James Croll Medal (for senior members whose work has achieved long-standing international impact) and the Lewis Penny Medal (for exceptional early career scientists). For more about the Quaternary Period see our What is the Quaternary? page.